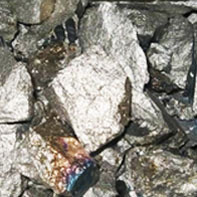 The Indian Ferro Alloys Producers' Association (IFAPA) promotes and protects the interests common to the Ferro Alloy Industry, specially with regard to level playing field; bringing together and promoting cooperation among Ferro Alloy Producers in India; maintaining uniformity in the rules and regulations and usages of the industry. The Indian Ferro Alloy Producers’ Association (IFAPA) is an apex body representing manufacturers of Bulk and Noble Ferro Alloys in the country. The Ferro Alloys Industry was established during the second five year plan as an ancillary industry to cater to the growing needs of the domestic Steel Industry. This Association of Ferro Alloy Producers was established in the year 1961 to look after the interests of its Members. 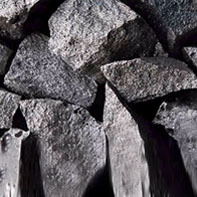 The Industry’s present capacity is around 5.15 Million Tonnes. 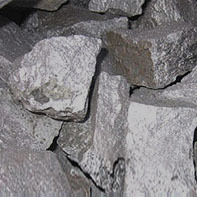 The products covered are: Manganese Alloys (HC, MC and LC Ferro Manganese and Silico Manganese), Ferro Silicon, Chrome Alloys (HC,MC & LC Ferro Chrome, Silico Chrome and Charge Chrome), Noble Ferro Alloys (Ferro Molybdenum, Ferro Vanadium, Ferro Tungsten, Ferro Silicon Magnesium, Ferro Boron, Ferro Titanium, Ferro Aluminium, Ferro Silico Zirconium, Ferro Nickel Magnesium) etc. Thus, the Ferro Alloys Industry, considered to be a vital industry, needs to be encouraged. It is envisaged by our planners that the Industry should produce larger quantities of basic alloys, which are required for the growth of the Steel Industry at home and also to cater to the international market. IFAPA by its members, for its members and constituted of its members shall strive towards knowledge , research ,clean technology and qualitative growth of its members and benefit for all associated with it.